Did you know that weakened arteries in the brain, resulting from high blood pressure, increase the risk for stroke? 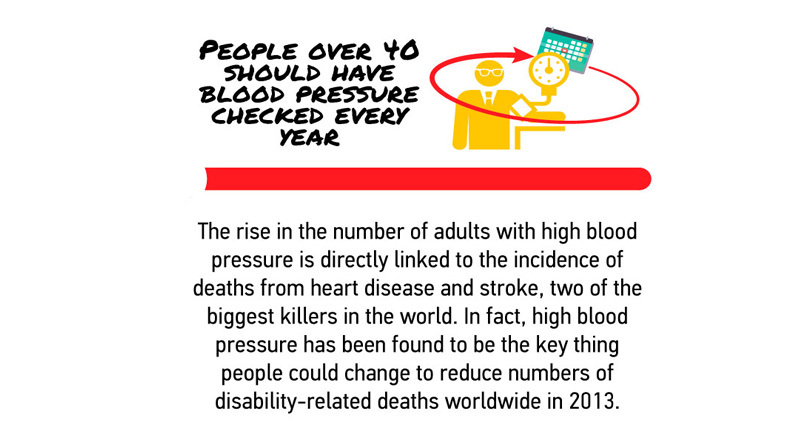 Here are ten more fascinating facts that link these two conditions and outline the importance of keeping blood pressure under control. 1. Kearney PM, Whelton M, Reynolds K, Muntner P, Whelton PK, He J. Global burden of hypertension: analysis of worldwide data. Lancet. 2005 Jan 15-21. 365 (9455):217-23. 3. [Guideline] Mancia G, Fagard R, Narkiewicz K, et al. 2013 ESH/ESC Guidelines for the management of arterial hypertension. 23rd European Meeting on Hypertension & Cardiovascular Protection. Available at https://www.esh2013.org/wordpress/wp-content/uploads/2013/06/ESC-ESH-Guidelines-2013.pdf. 4. Katakam R, Brukamp K, Townsend RR. What is the proper workup of a patient with hypertension?. Cleve Clin J Med. 2008 Sep. 75(9):663-72.